TASHKENT -- Starting in January 2019, Webster University will start offering a master's in business administration (MBA) at Uzbek State World Languages University (USWLU) in Tashkent, Gazeta.uz reported in September. Webster, based in in St. Louis in the United States, offers a master's programme on "Teaching English as a Second Language" at USWLU. 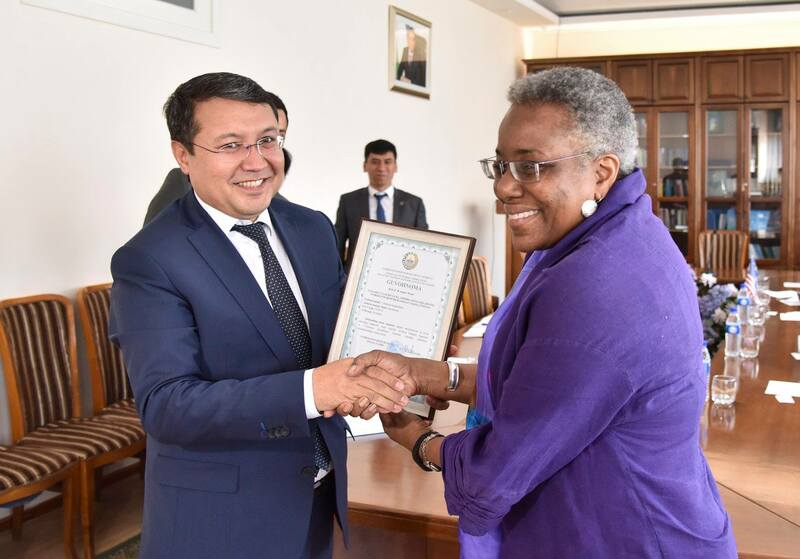 That programme began operating September 5 with 125 Uzbek students, all of whom had a bachelor's degree from Uzbek universities. The English-language programme is the first educational project in Uzbekistan offered by an American university. Its total cost is $4,000 (31.5 million UZS). All graduates will receive a Webster diploma. Webster designed the programme. Professors from both Webster and USWLU will teach. Uzbekistan has a shortage of English-language teachers and translators, said Svetlana Kozyreva, an elementary school teacher in Tashkent. The programme will be very popular for students who plan to teach after graduation, she said. "In the 21st century, knowing English is almost essential, and our children need teachers," she told Caravanserai. Zamira Atakhanova, a 10th-grader in a Tashkent high school, said she is very excited about the Webster programme. The quality of education in Uzbek universities is poor, she said, adding that few Uzbek students can afford to pay tuition abroad. "It's great that now an American university will work in Uzbekistan; I hope it will offer more programmes," she told Caravanserai. "I would gladly major in sociology at Webster University." Hi, everyone. Does the university have own website? In what cources I can major to get Bachelor's Degree in 2019? In what subjects I will take exams? Hello. could you tell us that what kind of programs will be added in a next year. Is there any info about the university itself like a web-site? Rahmat to all for your enthusiasm in our Webster University programs. Currently we have information on the TESL program at https://sites.google.com/view/webstertesl/tesl-in-uzbekistan. Please look for additional information on our programs coming soon. Can one start bachelors degree in Webster as of 2020, or is it only for Master‘s? Can I start Masters Degree studies from January 2019? First of all Assalomu alaykum! Article is written very clear, but I would like to clarify one more thing: what should I do to study in Webster University? What should I major in? Thank you beforehand for your reply! I couldn t find any contact numbers or e mail adress.There is no sufficient information about university itself.Moreover,there is no separate university city for submitting application.What's the purpose of opening these kinda universities if it is not properly answer the TQM. Thank you for your interest in more information. Please see https://sites.google.com/view/webstertesl/tesl-in-uzbekistan for more information. Damn... Where is?.. Oh, it's HERE in the pocket - a small amount, give or take $4,000. Yes, [I] found it. THAT'S IT, starting [my] studies soon!!! Hoorah!!! Please open International Law and International Relations faculties. We would major in those fields in Webster University, too. Assalamu alaykum, we are glad that Webster University had opened, we kindly ask to open Bachelor’s programme. We would like to study this year. Thanks for the great idea and its implementation! I am proud to study in this university. The conditions are just fantabulous. The new building impresses with its grandeur and comfort inside. Webster University is a great opportunity for me to get education that meets international standards! Rakhmat [thank you] for this gift to the independent Uzbekistan! Hi, can one get a Bachelor's Degree in Webster? 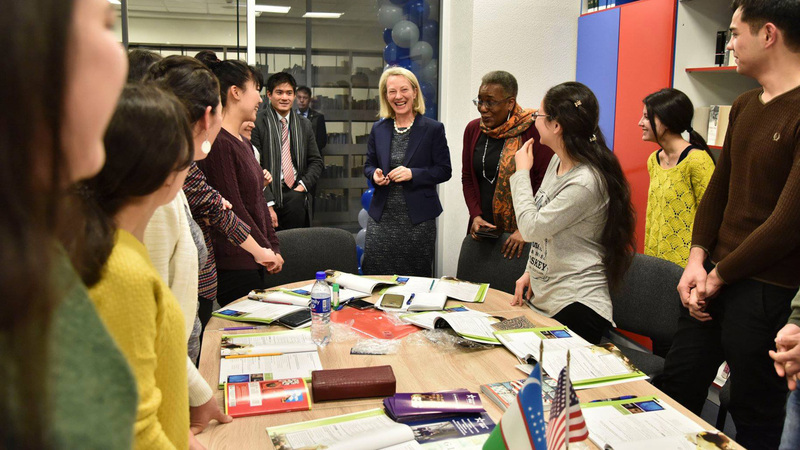 The American Councils for International Education, which previously operated in Uzbekistan, has become the first US-based NGO to be accredited in the country in more than a decade.